A key to your franchise success. Where do those target customers live? Where do your target customers shop, go to school and church? Does it rely on impulse sales, and so is a highly visible location a must? Are there requirements and regulations that you need to consider before selecting a site location? Review the answers to these questions with your franchisor. Your franchisor has already done a lot of market research for you. Part of the benefit of purchasing the franchise is access to data that will assist you in finding a location. Some franchisors have market managers who are familiar with your area and know firsthand the demographics and buying patterns of your consumer. This individual may also know developers or real estate professionals who may assist you. Most important is the franchisor’s track record. They have the data and the experience to guide you in finding the right location. 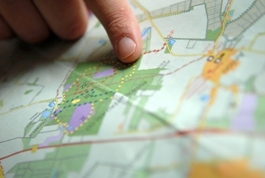 We know that location…location…location is important to the success of your business. Choose carefully and your chances for success will be far greater.